We all know how PDF files can be tricky and that is probably the reason you use PDF tools. Thanks to PDF conversion technology you can quickly solve PDF hassles by converting PDF to other formats. 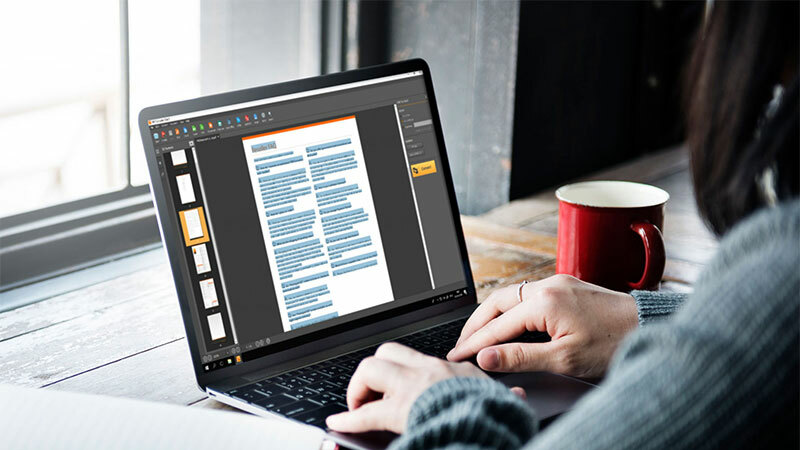 MS Office document formats are easier to edit when it comes to textual and tabular data. But the problem can arise when you cannot convert a PDF file, when the program crashes or simply the result is not satisfying. Inspired by the real problems of our users, we compiled a list of common problems with PDF files and how you can solve them. Have in mind, these solutions are only for PDF Converter Elite users and we cannot guarantee that these hacks will work with other PDF utilities you find online. Open your PDF file in any PDF viewer and click on the Print icon. If the Print option is not visible immediately, go to the File menu and then Print. From the list of printers, choose PDF Converter Elite printer. Click on the Print button and PDF Converter Elite print dispatcher will appear. If you want to keep both versions of PDF file, original and reprinted, you can rename the reprinted file before saving it. In the field, “Save PDF as“ rename the file. In the field “When the PDF file is created” choose to open in PDF Converter Elite and click OK.
Now, select the conversion type. For instance, if you want to convert a file to PPT, choose that icon and the sidebar will appear on the right. Click to select the whole file, a specific area or the certain pages. Learn more about selecting content here. Click on the Convert button and once the file is converted you will see that black marks disappeared. Batch conversion fails, what to do? Converting multiple PDF files at once is a time-saver. You simply add PDF files, choose the output file type and conversion starts. Unfortunately, if one of these PDFs is damaged and not able to convert, the whole process will fail. In that case, take a look at your files and try to convert one by one file. Some files will convert successfully and that one or more files that were damaged they will fail to convert. However, when you find damaged file you can always apply the technique above, for reprinting files or some of the techniques below. Who knows, maybe your file can be fixed and you can continue with batch conversion. Our PDF Converter Elite has a high quality OCR engine that can convert most of the scanned PDF files. But not all scanned files are created equally. First of all, if you are dealing with scanned files, check out did you turn on the OCR option, in the Edit menu of the program. Go to OCR options in the Edit menu and click on Convert using OCR, every time before opening and converting a scanned file. Click on the Convert menu and then on Conversion options. At the same time, press CTRL and A on your keyboard to open the advanced settings. Scroll down and find the “OCRInputSPI”. The default value will be 300, you need to edit it and write 400. Click on OK to confirm and again on OK, to close the conversion dialog. Now, when you open your scanned document, the result should be satisfying. This option will reset to default every time you close the program. Sometimes, it may happen that you open a PDF in PDF Converter Elite and it looks the same as you see it in other PDF readers. You select the conversion type and there is the problem! The output is a mess, full of strange characters that couldn’t be seen in the original PDF. If that happens to you next time you are converting PDF files, no need to worry. That means your file doesn’t have unicode characters and that you need to turn on the OCR option to convert a file. As we explained above, before opening such file, access the OCR options from the Edit menu and click on Convert using OCR. Now open your PDF file and try to convert it again. You may be surprised with the results. Hopefully, one of these solutions will help you next time when you are struggling with PDF files. If you need more information on how to use PDF Converter Elite, check out our free user guide.